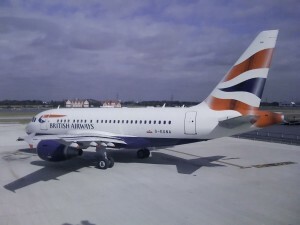 I was at London City airport this morning to see off the first BA flight to New York. It took me over an hour and a half to get there from my office near Heathrow. Which is the point really – if you live or work on the east side of London, that’s how much advantage you get from using this new service compared to flying from Heathrow.